i.	Watery signs rule these diseases. ii. 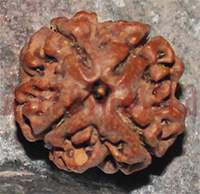 Mars is karaka for all Tumors, boils abscesses etc. Affliction of Rahu also produces the same. iii. 4th, 6th, and 12th houses, their lords also rule the blood and strength and position of these houses are also to be considered. When the above houses and planets be afflicted or be conjoined with malefics and make any relation with sixth house or lord of 6th house or with any disease-inflicting house or planet, they give rise to diseases like tumors, boils, carbuncles, abscesses, etc. iv. In the case of tumors and abscesses planets or luminaries are afflicted in sign Cancer or Capricorn; and if the afflicting one is in Virgo or Pisces, it produces an ulcer on or near the liver. These involve the watery signs, 4th, 8th and the 12th houses, and Mars and Rahu. 1. Malefic 6th lord in the 1 st, the 8th or the 10th. 2. Afflicted and malefic Mars -in the 6th. 3. 6th lord with Mars in lagna. 4. 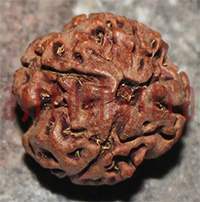 Rahu in the 8th in conjunction with or aspected by a malefic. 5. Saturn in the 8th and Mars in the 7th. 6. Afflicted Mars in Scorpio. 7. 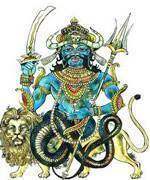 Lord of lagna in conjunction with Mars and the 6th lord. 8. Conjunction of the Sun, the Moon and Mars in the 6th. 9. Mars opposing the Sun, one is in the 1st, the 2nd, the 7th or the 8th. 10. Mars and Saturn in the 6th or the 12th. 11. Saturn in the 8th aspected by Mars. 12. 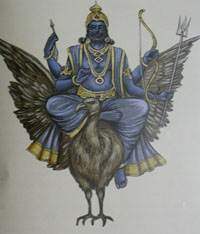 Kethu and Saturn in the 4th in the navamsa of Scorpio; or in 6, 7th or the 12th. 13. Saturn in lagna joined with or aspected by a malefic. 14. 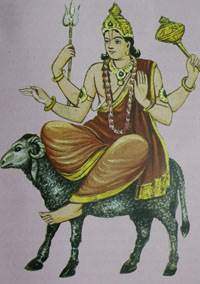 Afflicted lagnesh in navamsa of Leo. 15. Moon between malefics and Saturn in 7th. 1. Malefic Mercury afflicted further. 2. Rahu in the 8th aspected by a malefic. 3. Saturn in lagna while there is the conjunction of the Sun, the Moon and Rahu. 4. Saturn in the 2nd, the Moon in the 4th and Mars in the 10th. 5. Mars and Kethu or Rahu in the 8th aspected by a malefic. 6. 6th lord and a malefic in the 10th. 7. 6th lord 1st or the 8th with a malefic. 8. 6th lord with Kethu or Rahu in 6th. 9. Moon in 6th aspected by a malefic. 10. Conjunction of Saturn, Rahu and Mars. 11. Rahu and a malefic in the 5th. 12. Mars and Venus in the 9th or the 10th aspected by a malefic. 13. Mars opposing Sun, when lagna is in the 1st, the 2nd, the 7th or the 8th sign. 14. Conjunction of Mars, Jupiter and Saturn in lagna. 15. 6th lord with Mars in lagna. 16. Mercury in Gemini or Virgo aspected by Mars. 17. Saturn in 8th aspected by Mars. 18. Waning Moon in conjunction with Rahu while Saturn or Mars is in the 8th.